2) when a telephone receiver is not put correctly on the phone and it prevents incoming calls. 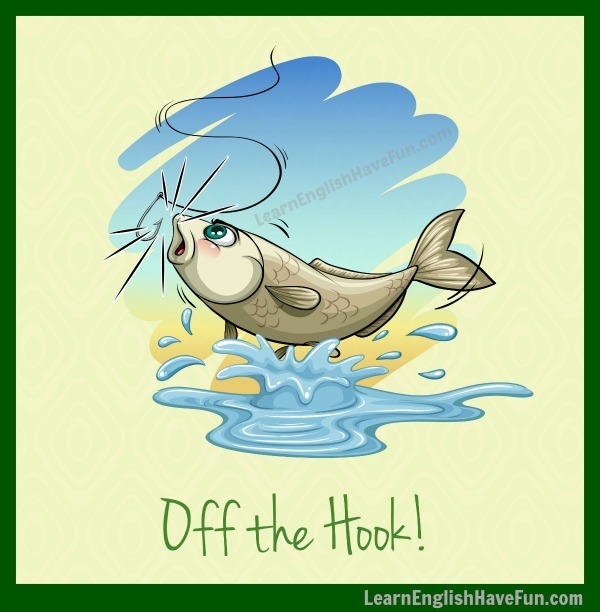 This idiom's origins come from the idea that a fish has found a way to get off the hook of a fishing pole—and has therefore escaped great danger. In the same way, if you get off the hook you've escaped a difficult situation. 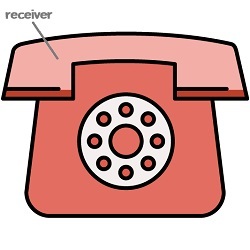 Another meaning is that the receiver of a telephone is not connected to the phone. 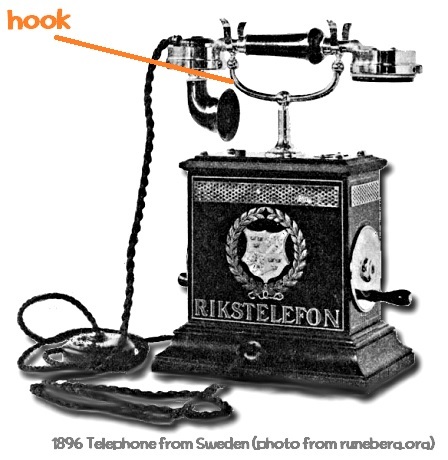 The receiver is placed on the hook of the phone. When the receiver is ON the hook calls can be received and the phone will ring (make a sound to let you know there is a phone call). You can intentionally or accidentally take your phone off the hook. Often the phone is off the phone by mistake when the person doesn't carefully put the phone back in place. Finally, there is a similar idiom: a phone rings off the hook. This means the phone is ringing continually one call after the other. (You could remember this because the phone is ringing so much it could almost fall off the hook.). I continually called you last night but kept getting a busy signal. Did you accidentally leave your phone off the hook? Yesterday, we got so many phone calls from people asking for donations I finally took the phone off the hook. If we get one more call from a telemarketer during dinner, I'm going to take the phone off the hook. I was supposed to go with my mother to the doctor's this afternoon but her appointment was canceled so I'm off the hook. I'll do the dishes so you're off the hook and can get started on your homework. They didn't have enough evidence to prosecute my brother so he's off the hook. My teacher gave me detention today after school but luckily there was a fire alarm and she let me off the hook. I was supposed to have jury duty all week but I got off the hook after they learned I have a disabled child. Don't worry—my lawyers are working hard to get you off the hook. I cannot believe dad let you off the hook from doing your chores again—it's so unfair! Thank goodness I'm off the hook from working tomorrow. I asked Jane if she could take over my shift and she agreed. You're off the hook! Sandy called to say she's sick so you don't have to go over and clean her house today. Are we off the hook or are we still going to your parents' house for dinner on Sunday? Since Marissa was featured in the Sports Illustrated swimsuit edition her phone has been ringing off the hook. My friend posted my phone number in the men's bathroom as a joke and now my phone's been ringing off the hook. 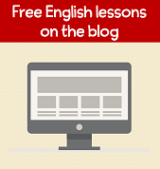 Ready to write some practice sentences? There are a few different meanings for this idiom so it would be great if you try to write a sentence for each meaning. I will provide feedback for any sentences you write.